Defend Tax Payer has effectively resolved a wider range of tax issues than CPAs or attorneys will handle in their entire career. You can be assured that you will get the outcome you need from Defend Tax Payer. 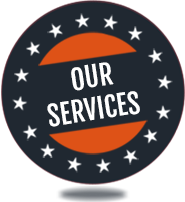 At Defend Tax Payer, we specialize in being a Full Service Tax Resolution company. Our experience has given us a huge knowledge base that we can reference for our newer clients. This knowledge base gives us an insight into how the IRS reacted to similar past clients' situations, which will benefit our new clients' tax problems. IRS problems require skilled negotiators to obtain the best possible resolution to your tax problems. Defend Tax Payer has over 45 years of combined experience in negotiating settlements with the IRS. We know what the rules are and what perimeters the IRS has to follow. By having the insider knowledge of the workings of the IRS Defend Tax Payer is able to ensure that we reach the best possible settlement for our clients. Don't delay, call today. As a leading provider of Tax Resolution Services, we take pride in offering the best solution available using the IRS guidelines. We are dedicated to serving the needs of our customers each and every day. Our 45 years of experience in the tax business speaks for itself. Our staff has effectively dealt with a wide range of tax issues from removing tax liens, levies, negotiated countless offers in compromise, placing tax accounts in currently not collectible status, and setting up long-term payment plans. The IRS will determine how much you can afford to pay based on your income and expenses, and will also determine the time frame for the plan depending on how much of your debt you can afford to pay off monthly. Depending on your situation, it may even be possible for the IRS to settle the total amount you owe for less, meaning less time making monthly tax payments. If you owe back taxes to the IRS and cannot afford to pay them, you may be eligible to participate in an IRS program known as "Offer in Compromise." Much like a debt settlement program for consumer credit debt, the Offer in Compromise program allows you to settle your tax debt for much less than you owe. If you need to remove a tax levy, the first step is to hire a tax firm experienced at working with the IRS. Defend Tax Payer has decades of experience fighting the IRS for their clients. Unfiled tax returns are a serious offense in the eyes of the IRS, and can lead to mounting debt as back taxes and fines pile up. The IRS will not stop the collections process until all unfiled tax returns have been filed, and you have paid back all money due. If you continue to fail to file your taxes, the IRS will place a levy on your wages. Call Defend Tax Payer today to get the returns filed and the IRS off your back!